In celebration of its 60th anniversary, The Book of the Month Club compiled a list of 60 American novels, published between 1926 and 1986, whose "impact still endures — novels that have changed how we Americans talk, think, write, feel and see ourselves." 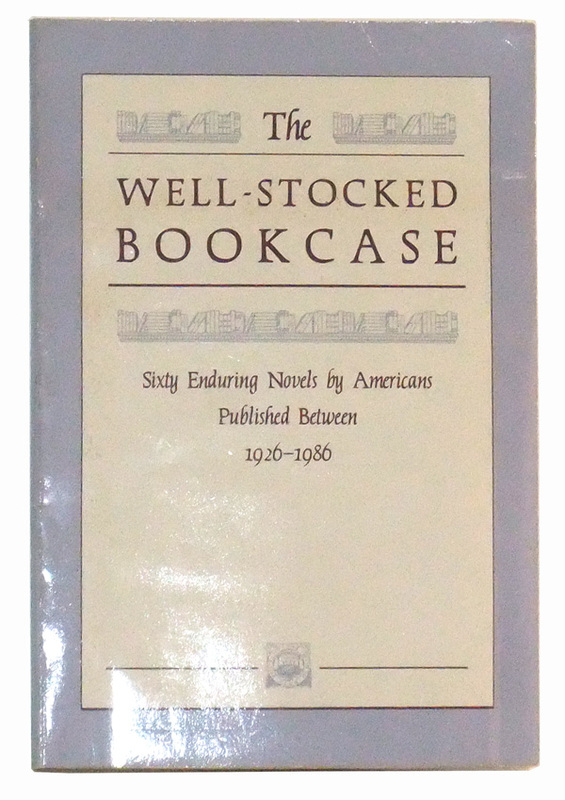 The club published its recommendations in a book called The Well-Stocked Bookcase. The list is in chronological order. Trilogies are listed as one book, by the date of the first volume. Two of the trilogies are available in one-volume editions and are linked as such. Those I have read are in red. So far, I have read 39 of the 60 – or 43 of the 66, if you count the separate volumes of the two trilogies, U.S.A. and Studs Lonigan. Those currently on my TBR shelf are in blue, although I intend to get to them all some day, mostly as they double up with other lists. As always, if anyone has adopted this as a "Must Read" list, and would like me to link their progress post, I would be happy to do so. Just leave your link in a comment and I will add it. Last updated on September 30, 2016. This is a good list, because the books strike me as being good, but also popular -- or at least they were popular at some point. There is a lot of entertainment value as well as literary value here. Cool list. I like the "impact" focus of the criteria. And there are a handful I've never heard of before, which is a good thing. I'm always on the lookout for new material. J.G. -- I agree about the impact idea. And when I look back on the books I have read from this list, I think they made thoughtful choices. There are some books on this list that do not show up on every Must Read list and I like that. For instance, Gone With the Wind didn't win any prizes or show up on the fancy pants lists, but it is a terrific book and just think about the impact of that story on the American psyche. More for the movie, of course, but there wouldn't have been the movie without the book. Also, The Assistant is my favorite book plucked from a Must Read list. I had never heard of it until I saw it on this list and the Anthony Burgess list. It is beautiful. I think it should be required reading for every high school student -- time to retire A Separate Peace! This list strikes a cord with me. I was a BOTMC member for many years. I didn't always get their choice for the month but I would pick something. Now that I look back on the list I see so many I wish I had read. Oh well, it's not too late. I'm going to copy your list. I will let you know if I decide to pursue this one so you can link to me. Thanks for finding and sharing this one.